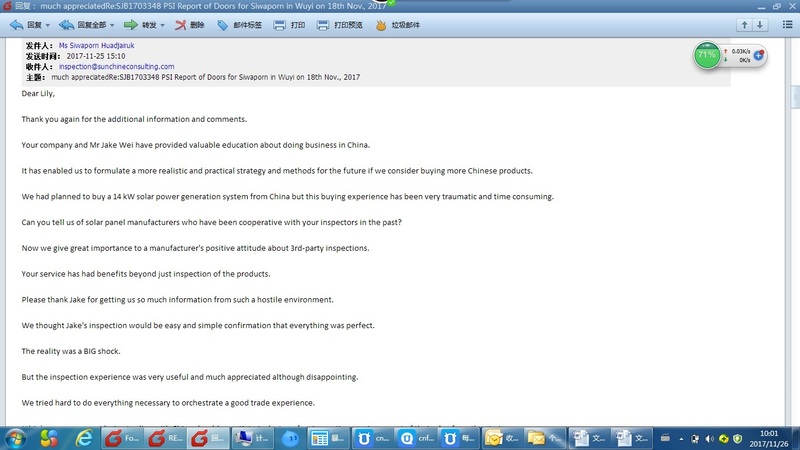 Your company and Mr Jake Wei have provided valuable education about doing business in China. It has enabled us to formulate a more realistic and practical strategy and methods for the future if we consider buying more Chinese products. Now we give great importance to a manufacturer’s positive attitude about 3rd-party inspections. Your service has had benefits beyond just inspection of the products. Please thank Jake for getting us so much information from such a hostile environment. We thought Jake’s inspection would be easy and simple confirmation that everything was perfect. The reality was a BIG shock. But the inspection experience was very useful and much appreciated although disappointing. We tried hard to do everything necessary to orchestrate a good trade experience. I think everyone considering trading with China should negotiate inclusion of an inspection service as part of their plan from the start. Before, we did not understand the absolute necessity of inspections. 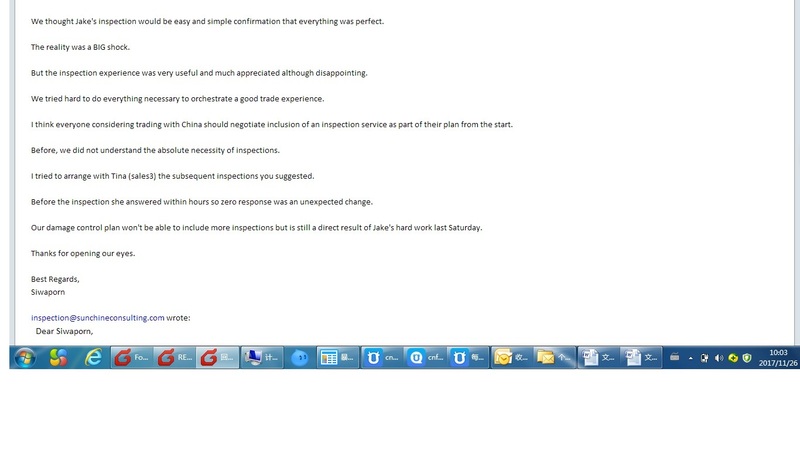 I tried to arrange with Tina (sales3) the subsequent inspections you suggested. Before the inspection she answered within hours so zero response was an unexpected change. Our damage control plan won’t be able to include more inspections but is still a direct result of Jake’s hard work last Saturday.